With smartphone cameras and software getting better and better every year, more and more users are getting passionate about photography. So when you're shopping for a gift to get someone, if they have a smartphone, chances are they'll more than appreciate some tools and accessories for taking better photos with their pocket friend — and we've got some gear ideas they'll love. Stock camera apps, as well as Instagram and Snapchat, are just gateways into more professional mobile tools to compose and take even better photos. So whether the family member or friend or coworker you're shopping for is a casual photo taker, amateur shutterbug, mobile photojournalist, selfie paparazzo, or professional photographer, one of these gift ideas will win them, taking them to the next level. Phones, accessories, and other gear for image-minded individuals aren't always cheap, so it's likely that your gift recipient won't already have any of these items unless photography is their business. Maybe one day it can be their business, and you can help them get there, whether you're shopping for Christmas presents, birthday gifts, Black Friday, or another special day worthy of a surprise. Before we jump right to accessories, if the person you're shopping for (even if it's yourself) has an older smartphone, the best gift would be a better smartphone. Of course, this is the most expensive item on this list, but you can't beat these phones when it comes to photography right now. The Huawei P20 and P20 Pro are good options, as well, but not available in the US right now. All the below phones have OLED displays aside from the U12+ with its LCD. 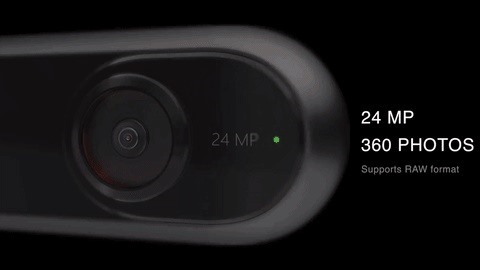 They're all IP68 rated, have wireless charging (except the U12+), have rear flashes, include optical image stabilization, support RAW shooting, use a 1.4 µm pixel size at 12 MP for the primary lens, include bokeh-friendly portrait modes as well as HDR modes, and have high DxOMark scores. 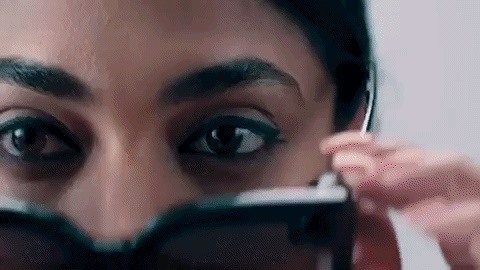 Everything but the Pixel 3 models have dual-lens cameras with 2x optical zoom and 10x digital zoom. While the Pixel 3 models do not have two lenses, they do have an amazing night photography option, Night Shift mode, which knocks the socks off of all the competitors with well-lit and grain-free nighttime images thanks to some impressive software processing. If your giftee is a night owl, these are serious options. 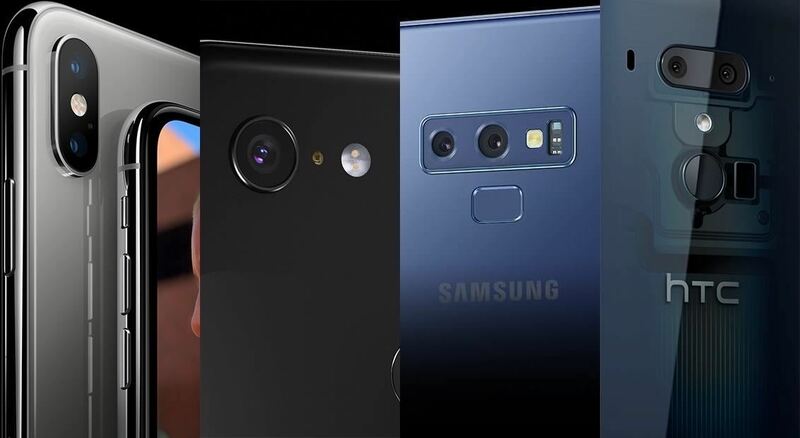 For the front cameras, all of them have flash support, with the Galaxy Note 9 using an LED flash while the others use screen flashes. All also have 8 MP shooters except the iPhone models that have 7 MP resolution. However, only the U12+ and Pixel 3 models have two lenses, the latter of which is geared for group selfies. A tripod helps prevent camera shake that happens when holding a phone, making photos as sharp and clear as they possibly can be. 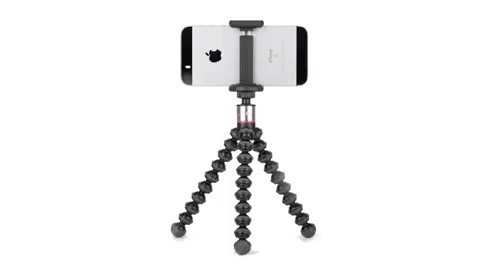 Plus, a tripod is also helpful for group photos and even selfies. Depending on what someone is taking pictures of, the tripod they'll need may vary. There are telescoping tripods like the Joby GripTight Pro TelePod which pulls quadruple duty as a hand grip, extended hand grip for selfies and hard to reach shots, tabletop tripod, and elevated tripod. Its fiberglass body extends from 13.5 to 31 inches and has adjustable legs. The mount's head has 180º of tilt and can switch between portrait and landscape mode. It even includes a Bluetooth remote control. Joby also makes a more portable tripod that's flexible for any situation. Called the Joby GripTight ONE GorillaPod Stand, it has rubber feet for stability, its jointed legs can be bent to wrap around objects, and it's lightweight but can hold 7x its weight. For somebody who just needs a quick and dirty tripod, Joby GorillaPod Mobile Mini is a perfect solution and fits right in your pocket. Includes the mount too. 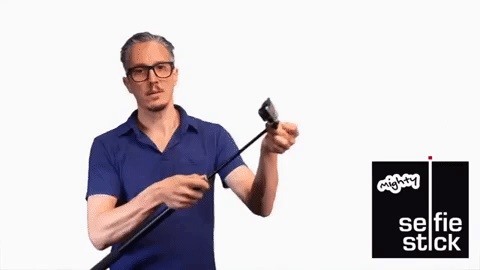 If you're not getting the all-in-one Telepod above but want to get a selfie stick for someone, again, you have a few options depending on what the result for the user will be. Are they taking solo and group selfies or are they taking overhead shots of wildlife, landscapes, and other non-human scenes? For crazy long drone-style shots from high above, you can't beat the Mighty Selfie Stick, which extends from 26 inches when collapsed to a whopping 10 feet long. Its ring-style Bluetooth remote can be attached to the handle of the pole or used apart from it. The body is made from steel, and it comes with attachable tripod legs. A more portable monopod option that works great (on a budget too) is the Anker Selfie Stick, which is about 7 inches when retracted but almost 29 inches when extended fully. It's made of a lightweight aluminum alloy and has an ergonomic handle for easy gripping. The Bluetooth remote is built into the handle, lasts around 20 hours per charge, and recharges via the supplied USB cable. If you're looking for something in-between both of those options in both price and extendable length, the Digipower Quikpod Extreme is a viable option. It extends from 18 inches to 53 inches but does not include a Bluetooth remote, so that would be a separate buy. Wireless remote shutter controls are useful when you're taking a group photo, want a steadier image outside of your hands, or are getting creative with selfies. There are tons of options on the markets, and all of them work pretty much the same with a 30 feet radius, Bluetooth pairing, keychain connection, replaceable battery, compatibility with most built-in camera apps, and unofficial support for certain third-party apps like Snapchat. The Mooni Selfie Remote Shutter is a circular disk at 1.5 inches in diameter and comes in different colors. Gadgin's version is oval-shaped at 2 by 1 inches and comes with a sleeve and wristband. The CamKix option is also oval-like as well, has a wrist strap, comes in different colors, and has two buttons to separate Android/iOS. When it comes to photography, there are many different types of phone cases to think about. If you're shooting a lot of photos, a battery pack case keeps you juiced up. For more security and stability, a grip-friendly case helps keep it from sliding out of your hands. But for selfies, group photos, and other still photography on the fly, a kickstand case does the trick. There is pretty much at least one kickstand case for each smartphone out there, so I won't even try to list them all. You can search Amazon, Best Buy, Walmart, or another store for the case that fits the recipient's phone. However, there are kickstands you can add to any phone or phone case that work universally. We recommend a PopSockets Grip. It's customizable, adheres to any flat surface, can be easily repositioned on the phone or phone case, collapses so the phone can still fit in a pocket, can be used as a grip to take better seflies while holding the phone, and can be used as a kickstand in portrait or landscape orientation. It's pretty versatile, and the tops can be bought separately for different designs. I'm always running out of juice right when the best picture opportunities arise, and I'm sure this doesn't just happen to me. To make sure the person you're shopping for never loses battery on a photography shoot, a backup battery pack is a must. Phone cases with built-in batteries are best when shooting photos. Standalone ones are more universal, but the person needs to have time to put the phone down for a second since it's too clumsy to charge and take photos at the same time. When it comes to cases with built-in batteries for recharging the phone, it's too hard to recommend one since each phone needs a unique case. Try searching Amazon, Best Buy, Walmart, or another store for one that fits the phone your gift recipient has. Otherwise, a portable power bank is the next best thing. Our top recommendation for a power bank is the Anker PowerCore 20100 which, as the name suggests, is a 20,100 mAh rechargeable battery with two USB ports at 2.4 amps each. Most charging adapters provided with phones max out at 1 amp, so 2.4 will charge a phone at a faster rate. The power bank charges via a 2 amp maximum input with the included Micro-USB cable (wall adapter not included), so it takes about 10 hours to recharge fully, but once it's ready, it can be used 4 to 7 times on a depleted phone battery (depending on the model) before having to be recharged. Another benefit: Anker has excellent customer service. Some of the best apps for photography cost money, and a lot of smartphone owners stick to free apps only, so they're missing out on a lot of camera and photo-editing potential. Halide Camera, one of the best photography apps available, costs $5.99. Other paid photo-geared apps worth getting include Camera+ 2, ProCamera, Obscura 2, ProCam 6, and Enlight. There are even some decent books that can help users improve their skills, whether they're taking pics on a DSLR or their iPhone. You can help them get some of the items above by gifting them App Store & iTunes gift cards. If you don't trust them to buy the apps or media that you intend them to install, you can also gift individual items via the App Store. And those are just a few of your options. Unlike Apple's App Store, the Google Play Store isn't as friendly when it comes to gifting options for apps and other media. There are some workarounds, but your best bet is to give them a gift card for Google Play. Paid apps worth installing include Camera FV-5, HD Camera Pro, ProShot, Camera ZOOM FX Premium, Photo Studio PRO, PhotoPills and Snap Camera HDR. While a lot of newer smartphones come with dual-lens cameras, most of which use a 2x telephoto for the secondary lens, it's still not going to get you the same results a good wide-angle, telephoto, fisheye, or macro lens. There are lots of mini external lenses for smartphone cameras, but due to phone OEMs placing their cameras in different locations, you may be better off shopping based on the phone model. You can browse Amazon, Best Buy, Walmart, or another store to find the lenses for the phone model pretty easily. However, one brand of lenses we recommend is Moment. It has the best quality, multi-element lenses on the market and has for some time. There are wide-angle, telephoto, fisheye, and macro lens options, but in order to attach one to a phone, one of Moment's cases is needed. Moment makes cases for iPhones, Samsung Galaxy models, and Google Pixels. For dual-lens phones, the cases actually let you select which lens you want to attach the external lens too, though you will need to use a third-party camera app to take full advantage of this. A decent, slightly cheaper alternative to Moment is Sandmarc. All of its lenses come with both a clip-on mount (so you can use it with pretty much any phone) and a phone case with a screw-on mount (for specific iPhone models). The glass is almost as good as Moment's, but while Sandmarc's are more versatile thanks to the clip-on option, the phone cases don't allow you to select which lens you mount the external lens on for dual rear cameras. You can shop for Sandmarc lens on its website. Kits start at $69.99. A lot of Android phones have the option of adding an SD card for extra storage, which is always a necessity for photographers. Photos take up a lot of space, and cloud storage isn't always the best option. If you know the model phone, you can use our compare tool to see if it accepts SD cards, the vast majority of which have microSD card slots. We recommend SanDisk Ultra microSDXC cards, which are based on the latest SDA 3.0 specification. These aren't as fast as the Ultra Plus or Extreme models, but good enough at a friendlier price point. SanDisk Ultra SDXC cards will be supported by pretty much every phone made after 2010. However, phones will support different storage capacities, so you'll need to make sure the card you get will work properly. For Android models that don't have microSD card slots, there are many options, but just make sure you find one that works with either a Micro-USB port or USB Type-C port, depending on the phone model. We recommend SanDisk again, this time either the Ultra USB Type-C Flash Drive or the Ultra Dual USB Drive 3.0. For iPhone users, you have to get an external option. One of our favorites is SanDisk's iXpand Flash Drive, which comes in capacities from 32 GB to 256 GB. These have flexible Lightning connectors so they can work with most iPhone cases, as well as a USB 3.0 connection for transferring media to a computer. If the person you're shopping for tends to shoot more with their DSLR, an excellent present for them would be a memory card adapter that they can hook up to their smartphone; This will allow them to upload photos to their phone for instant editing and sharing. For iPhone users, there are several options. For people with miniSD or microSD cards, Apple's Lightning to SD Card Camera Reader will work fine. 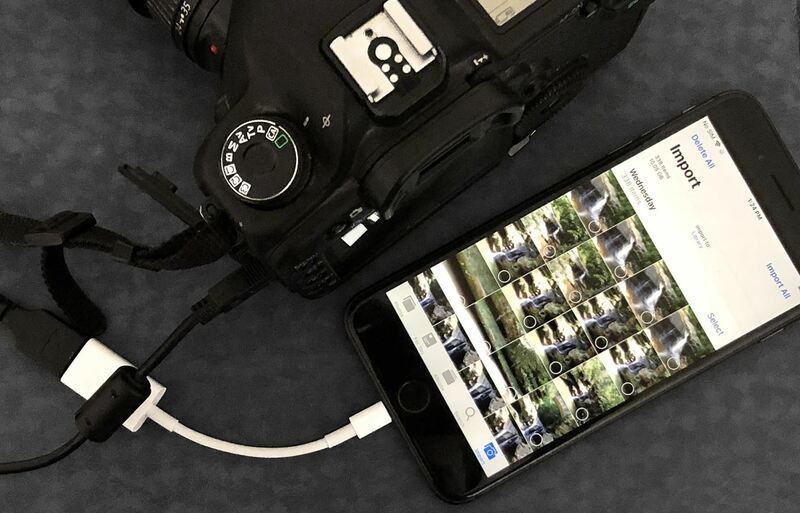 For everyone else, the Lightning to USB Camera Adapter will be needed, which lets them connect their DSLR right to the adapter via a USB cable. Alternatively, there's the Lightning to USB 3 Camera Adapter, which allows charging of the iPhone simultaneously. When it comes to Android users, there are multiple options as well, but the most important thing is whether the Android phone has a Micro-USB port of a USB Type-C port. That's the first thing that needs figuring out. Next, what do they need? A memory card reader or a connection right to their DSLR camera? Don't know? Then the Vanja 2-in-1 card reader is the way to go. Vanja's model works in almost every scenario. On one end, there's a USB-C male connector for newer model Android phones. On the other end, there's a regular USB Type-A male connector for computers, but it also can be pushed up to reveal the hidden Micro-USB male connector. It's capable of reading multiple microSD and SD card formats. 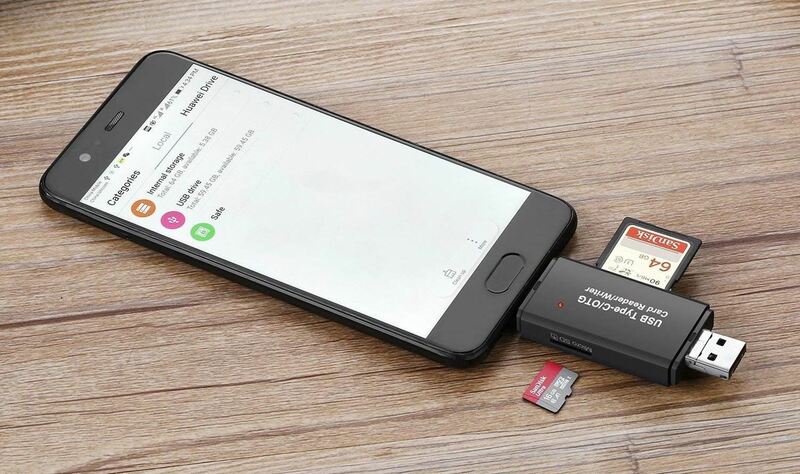 When you're unsure of if they have compatible memory cards, then a USB On-the-Go adapter will be needed; This will make it possible to connect a USB cable from the adapter to the DSLR camera for importing. The smallest OTG adapters available are from REMAX and come with either Micro-USB or USB-C connectors. If the person you're shopping for wants to be a professional photographer, they'll want to expose their photographs correctly, whether or not they're using a high-end DSLR or just their smartphone. Either way, the Lumu Power Color and Light Meter is a great accessory to have. 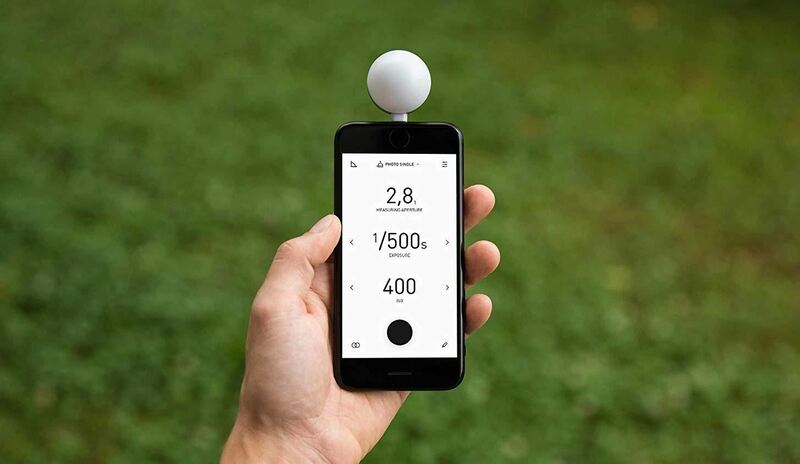 With a Lumu light meter, color temperature, flash exposure, ambient exposure, chromaticity, and illuminance can be measured, and it also works for spot metering. Lumulabs, the manufacturer, also has three newer models out with different functions. The only downside? It's only available for iPhones right now with Lightning ports. Lumulabs did previously support Android models with a headphone jack model, but it has since shifted focus to iPhone-only support. Now that USB Type-C is becoming more prevalent on Android smartphones, Lumulabs is likely working on a USB-C model, so stay tuned. Newer phones have impressive flashes and low-light modes, but sometimes an external light is necessary for the perfect shot. If the person you're shopping for is more of a selfie person, there is a variety of phone cases that have lighting strips built right into them. There is also the Ocathnon Ring Light that slides right over top of the smartphone when needed. Otherwise, the Manfrotto Lumimuse 8 LED Light is a great option for Android and iPhone users for all sorts of lighting needs. It's portable, has a four-step dimmer, comes with a friction-based head that allows mounting on a tripod, includes a snap-fit filter mount with three filters for changing color temperature and diffusing light, and is USB rechargeable. An additional universal smartphone clamp can be purchased to mount the light directly onto the phone, which can also be mounted onto a tripod at the same time or a handgrip system for more control on the move. If the person you're shopping for is addicted to Snapchat, then a pair of Spectacles is the perfect gift they don't need but probably really wants. They're water resistant, take HD photos, and sync media right to the Snapchat app when the phone is nearby. While these are made by Snap Inc., the pictures can be exported to another platform, shared via texts, or saved to the phone's built-in storage. The images themselves are in circular HD format but can be exported as square or widescreen. Photographers who want to take 360-degree photos and share them on Facebook, Google, or another platform that's friendly with VR headsets, a 360-degree camera is a must. Our recommendation here is the Insta360 One, which has 6-axis stabilization, shoots 24 MP photos, has an ƒ/2.2 aperture, exports in either INSP, JPEG, or RAW formats, shoots standard or timed 360-degree pictures, and has plenty of manual controls. 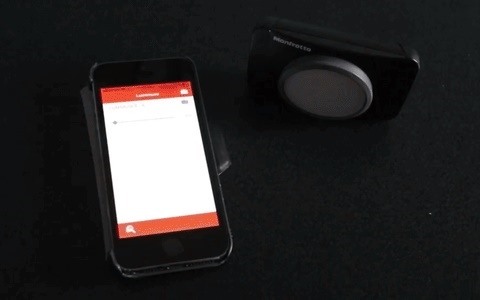 It can be controlled via the Android or iOS app, and it can also be mounted right on the smartphone. It's designed for iPhones with a Lightning port, but an adapter (USB Type-C or Micro-USB) can be purchased for Android phones. When a photographer wants to get experimental, a thermal imaging camera is a great way to have some fun. Typically, it's used for things tasks such as to "inspect electrical panels, find the source of HVAC failures, or discover hidden water damage," according to FLIR, but it can be used for other reasons. Luckily, FLIR Systems makes personal thermal imager attachments for Androids and iPhones. While the company has three older models, its new FLIR One Pro models can't be beaten. The FLIR One Pro is our recommendation since it has a 19,000-pixel resolution with much sharper images, but it's also the most expensive. The One Pro LT model, as well as the One Gen 3 model, are just 4,800 pixels. For those who want better overhead shots than a 10-foot selfie stick can provide, the drone is the next step up. Drones won't use your phone's camera but instead have their cameras built into the flyer. The phone is used to help control the drone and take the photos. Drones are pretty pricey when it comes to good-quality pictures, but there are few options we'd recommend. First, on the cheaper side of things, the DJI Spark Drone Fly More Combo can shoot 12 MP images and works with both Android and iPhones. The camera is a ƒ/2.6 wide-angle lens with a 25 mm equivalent focal length and 1/2.3-inch CMOS sensor, and the drone can reach distances of up to 1.2 miles away without obstructions. While it works pretty awesome on iOS, Android users have reported many issues, so it's worth looking into those if your gift recipient is an Android user. 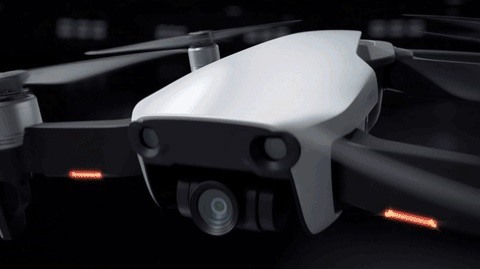 Second, there's the more expensive DJI Mavic Air Drone, which shoots 12 MP pictures. The gimbal (!) camera is a ƒ/2.8 wide-angle lens with a 24 mm equivalent focal length and 1/2.3-inch CMOS sensor, and the drone can reach distances of up to 2.4 miles away without obstructions. It can also shoot and stitch 25 photos in eight seconds for crystal-clear 32 MP Sphere panoramas and supports HDR photos. For friends and family who like to print photos, a portable photo printer is a great gift idea. Lifeprint makes a few good Bluetooth, rechargeable models that work perfectly with any smartphone. There's an Instant Print Camera which turns an iPhone into a sort of Polaroid camera. Also, there are regular models for any smartphone that print in either 2 by 3 inches or 3 by 4.5 inches. 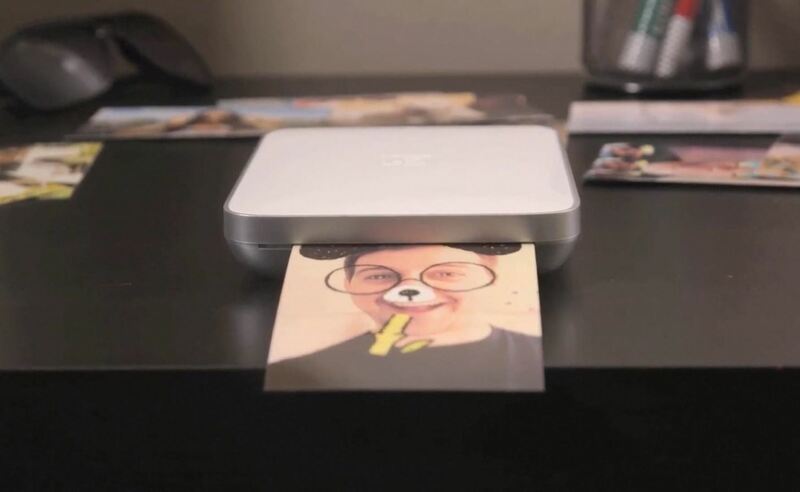 The pictures that print out are also AR-friendly. The majority of smartphones take photos in a 4:3 aspect ratio as the default setting, but a lot of digital photo frames on the market have 16:9 aspect ratios, meaning images are cropped or have black bars. 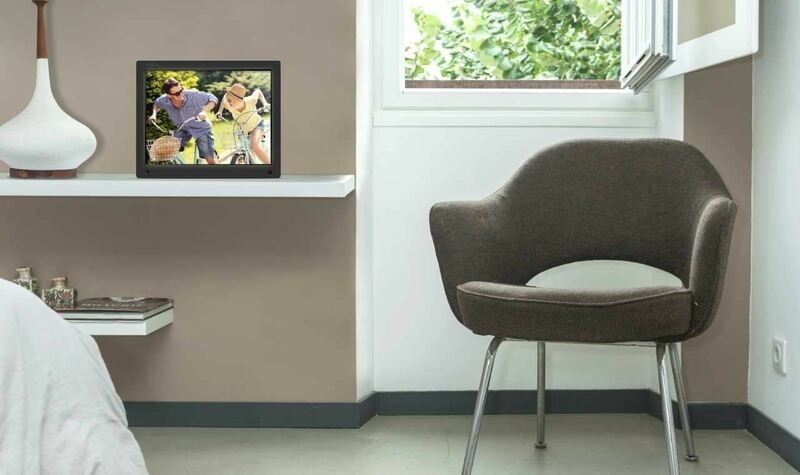 However, the Nixplay photo frame does come equipped with a 4:3 screen. It's 15 inches with a resolution of 1024 x 768 pixels, has Wi-Fi support, and can be wall-mounted. You can email or add photos via Nixplay's apps for Android and iOS, as well as create and control picture playlists. There's also support for SD cards and USB flash drives, as well as a free cloud drive of 10 GB to store photos. You can even link your Facebook, Instagram, Dropbox, or Flickr account, among others. Plus, you can connect and use it with Amazon Alexa. 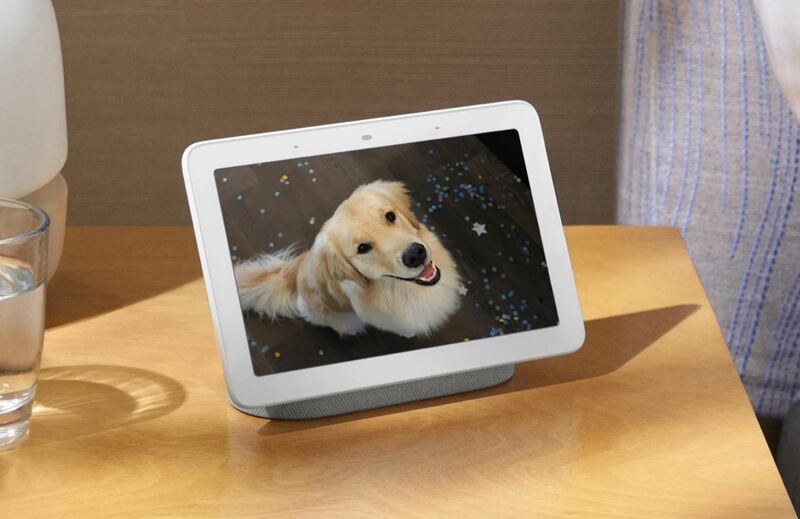 In addition to that one, it's worth mentioning that the Google Home Hub, Amazon Echo Show, and Facebook Portal smart home assistants all have a digital picture frame mode. Google's will sync to Google Photos online, Amazon's to its Prime Photos, and Facebook to your Facebook photos. If you REALLY want to get "into photography", don't waste your time with a smartphone. For around 1/2 of the price of an iphone or the latest Galaxy phone, you can get an APS-C sensor size d-SLR, with a descent kit lens. Granted, it won't fit in your skinny jeans, but, you will be rewarded with a better overall photo experience. Especially in the small tiny detail, that is missing from pinhole sensors. 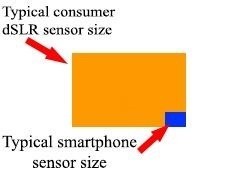 The size of the image sensor on a consumer d-slr is many times larger, and is able to capture more of the light detail, without the noise associated with a smartphone sensor.